Are you suffering from an accident-related spinal cord injury? We can help. Our Santa Cruz personal injury law firm is experienced and successful in spinal cord injury cases. Get the compensation you deserve. It is estimated that the annual incidence of spinal cord injury is approximately 11,000 new cases each year. The number of people in the United States who have a spinal cord injury has been estimated to be approximately 250,000 people. Most injuries occur between the ages of sixteen and thirty years old. Approximately 80 percent of spinal cord injuries occur among males. Approximately 50 percent of spinal cord injuries are a result of automobile accidents. Falls account for 23 percent of these types of injuries and violence, usually by gun shot, account for another 14 percent of spinal cord injuries.Persons with quadriplegia have injuries to one of the eight cervical segments (those located in the neck) of the spinal cord; those with paraplegia have lesions in the lumbar (low back) regions of the spinal cord. Approximately 65 percent of those who suffer spinal cord injury report being employed at the time of their injury. The post-injury employment picture is better with persons with paraplegia than among their quadriplegic counterparts. By post-injury year 10, 33 % of persons with paraplegia are employed, while 25 percent of those with quadriplegia are employed during the same year. Approximately 90 percent of all persons who suffer a spinal cord injury are discharged alive from the hospital and are sent to a private, non-institutional residence. (In most cases, their homes before injury.) Only six percent of those discharged end up at nursing homes. The average days hospitalized in an acute care unit for those who suffer spinal cord injury is approximately 20 days. The number of days one usually spends in a rehabilitation unit is approximately 45 days. High quadriplegia (C1-C4) First year $710,000, each subsequent, $127,000. Low quadriplegia (C5-C8) First year $458,000, each subsequent year, $52,000. Paraplegia First year $260,000, each subsequent year $26,000. The estimated lifetime cost by age of injury discounted at 2 percent varies according to the level of injury. The range is from a low of $640,000 to a high of approximately $3,000,000, depending if the spinal cord injury results in paraplegia or quadriplegia. These figures do not include loss of wages, which average approximately $60,000 but vary substantially based on education, severity of injury and pre-injury employment history. Life expectancy for persons with spinal cord injuries continue to increase, but are still somewhat below life expectancies for those with no spinal cord injury. Mortality rates are significantly higher during the first year after injury than during subsequent years, particularly for severely injured persons. The leading cause of death among persons with spinal cord injury is renal failure. Anyone who has suffered a spinal cord injury or serious back injury should consult with a lawyer as soon as possible to determine their legal rights. 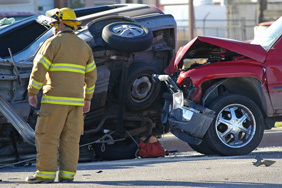 Often, an accident that may appear to be no one’s fault, or your own fault, could still result in a recovery for you. Never assume that a legal consultation would be a waste of time, or would cost you money. Often there are many factors which you may be unaware of which contributed to an accident. The liability of other parties – vehicle manufacturers, pool installers, property managers, and others – can be a complicated point of law. If you wait too long, it can often be too late to pursue a case. You should contact a qualified attorney specializing in spinal cord injuries.